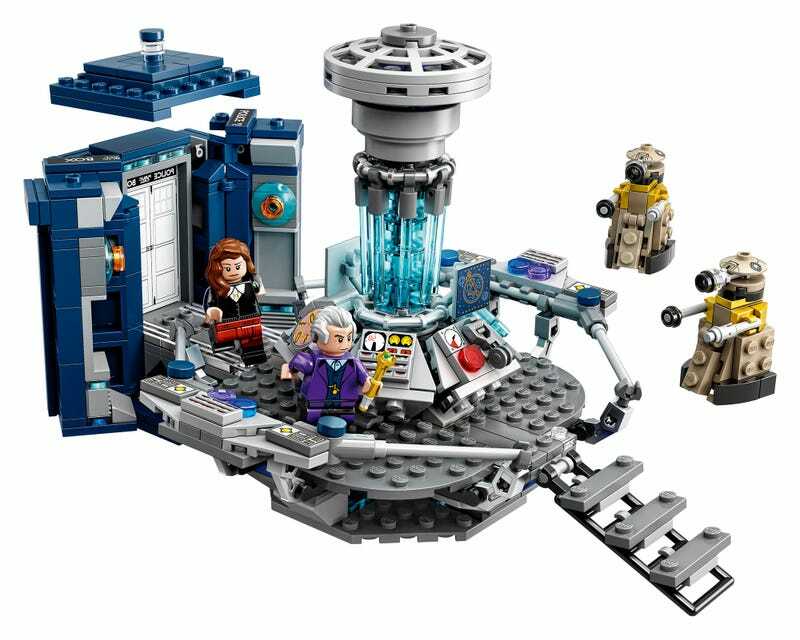 It feels like ages since Lego announced that it would be making a set based on Doctor Who—but now we don’t need a time machine to find a future where it’s out. It’s finally happening this December, and it’s looking rather fantastic if you’re a fan of all things wibbly, wobbly, and maybe even timey and wimey too. The set features the two most recent Doctors played by Peter Capaldi and Matt Smith, as well as their companion Clara—and it’s largely based on their appearance in “Time of The Doctor”, the 2013 Christmas special that saw Matt Smith’s Eleventh incarnation of the Time Lord regenerate and turn into Peter Capaldi’s Twelfth Doctor. Presumably, Lego would very much like you to purchase their Doctor Who level pack for Lego Dimensions to get the Twelfth Doctor in his more usual outfit, rather than the one worn by his immediate predecessor. It wouldn’t be Doctor Who without some monsters to fight though, so you also get two new brick-built Daleks, as well as a Weeping Angel to harass The Doctors and Clara—and of course, the Angel has an alternate “screaming” face for when it’s ready to attack!